This Math IQ Question is for school going teen. In the Math Puzzle Question, you are given some Mathematical equation which look incorrect Mathematically. However these Maths Equations follows some logical pattern. 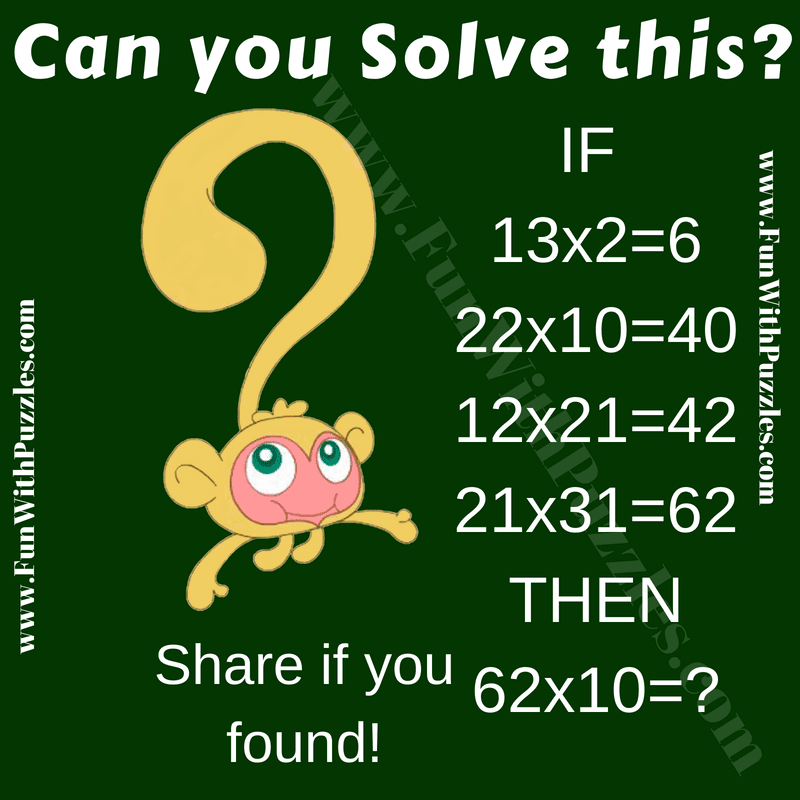 Can you discover this logical pattern and then solve the last Math IQ Equation? Answer of this "Math IQ Question for Teens", can be viewed by clicking on button. Please do give your best try before looking at the answer. IF AB*C=D is the given Mathematical equation, then logical equation is A*B*C=D.